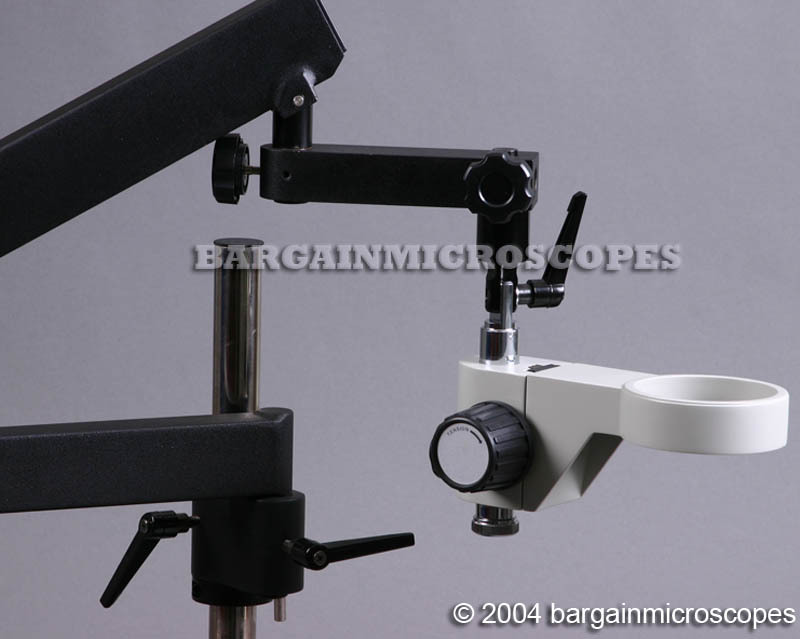 No microscope head is included. Spring Loaded Articulating Boom Stand – Great Flexibility! 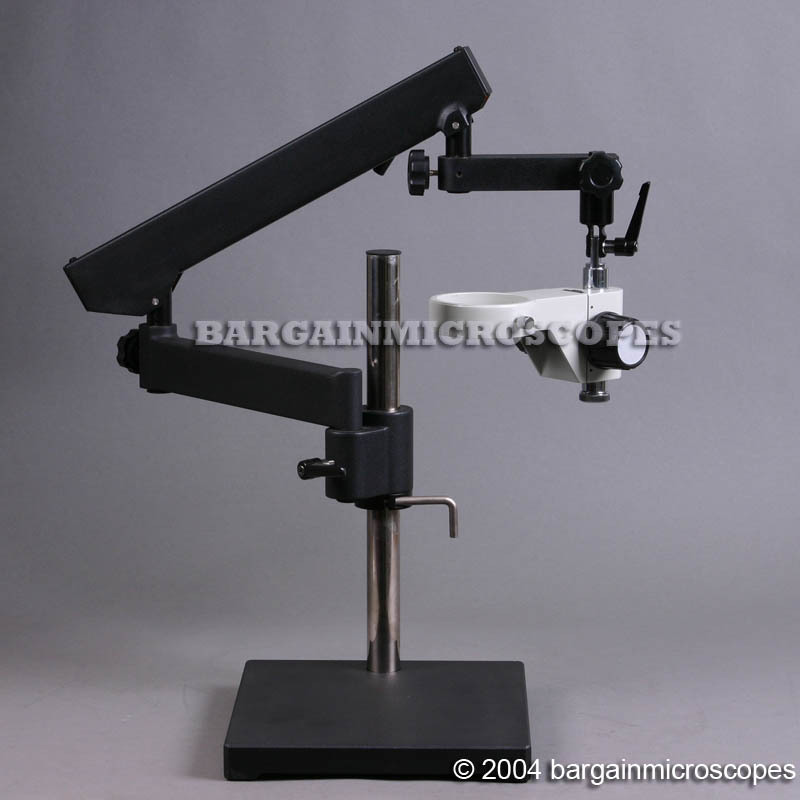 Superior Ergonomically Designed Articulating Boom Stand puts Optics right where you Need It! The Ultimate Working Tool for Detailed Viewing Applications! 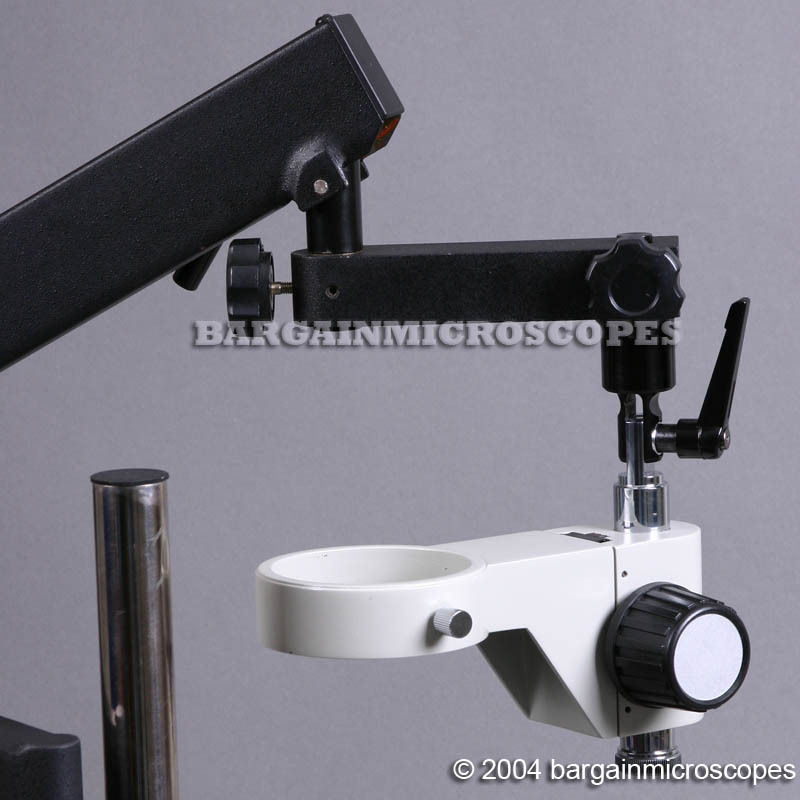 This Boom Stand provides Multi-Axis Rotation so the Scope’s Head can be rotated to most any angle or position. Please let us know what size of focusing holder you need. We have 84mm, 76mm, and 64mm diameter holders. We have Standard Sized Focusing Holders. For example, the Meiji EMZ is 84mm. Others common standard sizes are 76mm and 64mm. If no size is requested, we will ship a 76mm. 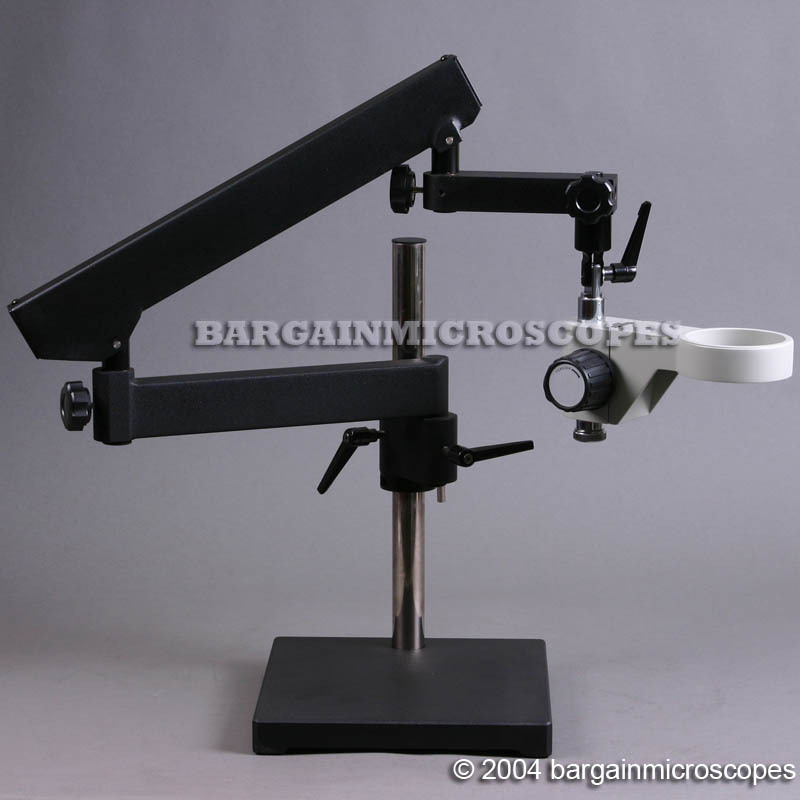 84mm Diameter Focusing Holder to Fit Microscope Head. Available for FREE, 76mm or 64mm Diameter Adapters. Heavy Base Plate is made of Solid Steel. Shipping Weight of Boom Stand (w/o any scope head) is 45 Lbs.